Durham Women FC are delighted to announce the signing of defender Grace McCatty from Bristol City Women. McCatty, 27, has spent the last ten years at the South West club after joining in 2006, racking up over 100 appearance for the Vixens in their various guises. She was part of the squad that defeated Barcelona in the UEFA Women’s Champions League while also helping Bristol to two FA Women’s Cup Finals as she regularly captained the side. The centre back, who also has England U23 honours, made 17 appearances as the Vixens won promotion from FA WSL 2 last season, netting once in the process. 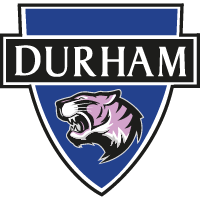 Now, McCatty is moving to the North East to study a pHd at Durham University and, as a result of our partnership with the university, will see her compete for the Wildcats and the successful Team Durham BUCS side. Unfortunately, the defender sustained an injury prior to joining the club but will be supported through her rehabilitation by the club's medical staff and performance support team with the aim of being match fit for the new FA WSL 2017/18 season in September. Speaking to WildcatsTV after she agreed to join the club, McCatty said: “It feels really good to be up here. “Obviously it’s a big move up North for me, as it’s about four hours from where I currently live, but I’m really excited to be here and for the new challenge ahead. “I’m so grateful for what I achieved at Bristol, but it got to the point where I needed a new challenge on and off the pitch. “The off the pitch challenge is what has brought me here initially, but the on the pitch challenge is something I really want to embrace as well. Manager Lee Sanders was delighted to secure the signing, adding: “We knew a fair bit about Grace from when we’ve played against Bristol this season and she’s been a part of a side that has had a lot of success since the start of the FA WSL. “When the opportunity arose to sign Grace with her moving up to the area it was something that we were really interested in. “Grace is doing a pHd and similarly to a few players at the club, we’ve been able to make this move happen due to the partnership with Durham University which once again highlights education as a hugely viable route and makes us a little bit different to other clubs in the division. “Unfortunately she’s suffered a little bit of a setback through an injury but we’re excited to have her here at the club and we’ll support her through her rehabilitation so she’s back playing with us in the 2017/18 season.